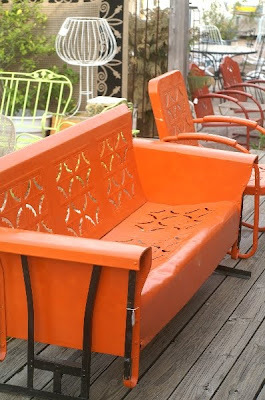 If shopping vintage stores in Austin, you're likely to bump into me at Uptown Modern. It's one of my favorite vintage stores in town. It's where I bought our Broyhill Sculptra desk and a few other great finds. Today on Vintage Views, we talk with Jean Heath, owner of Uptown Modern and 20+ year veteran of the antique business. Tell us a little about Uptown Modern. 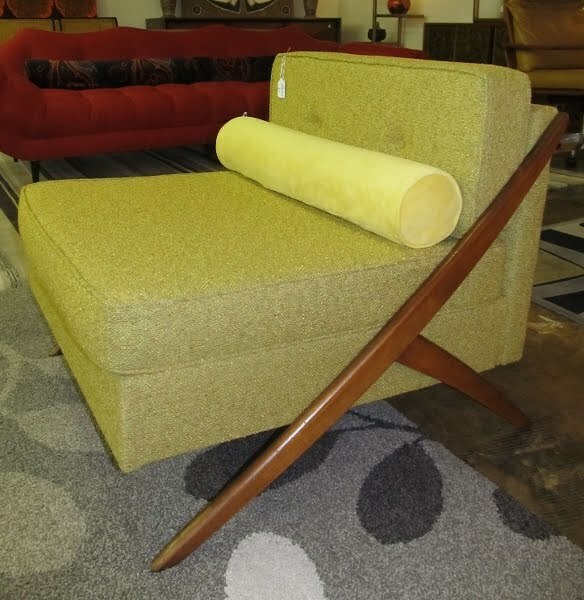 Uptown Modern opened in 2007 and specializes in taking wonderful but worn mid-century pieces and restoring them. We refinish the wood, fix the drawers and legs, re-upholster the fabric — whatever it takes to rejuvenate the piece. I love being able to rescue a piece of furniture and giving it another lifetime of use. We focus on home furnishings and decorative accessories almost exclusively. 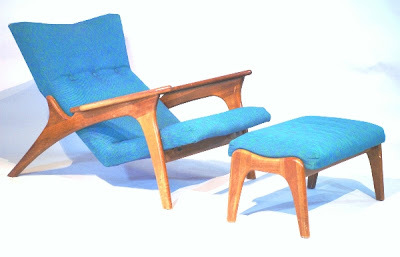 How did you get into the mid-century furniture game? I started in the antique business about 25 years ago by collecting, then reselling vintage costume jewelry. Over the years, I've done hundreds of antique shows across the country and have rented spaces in numerous antique malls and shops in the Austin and San Antonio area. 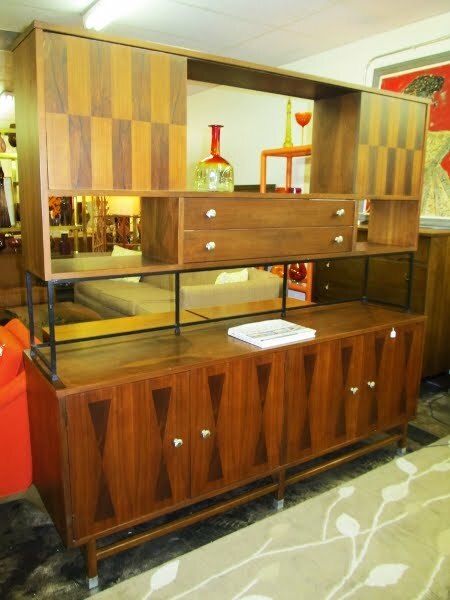 Does Uptown Modern have a focus or specialty, or do you buy/sell anything mid-century? I've specialized in many genres over the years, from estate jewelry and antique lighting to garden/architectural pieces and primitives, and now mid-century furniture and accessories. About 10-12 years ago I began focusing heavily on mid-century furniture and accessories. I love the clean, uncluttered look and beautiful lines of the mid-century style. Uptown Modern recently moved. How do you like the new location? How is it different than the old store? Uptown Modern moved to 5111 Burnet Rd. because our old building was sold to build an apartment development. We were very comfortable there and were distressed to leave the space. However, we now feel the move was a blessing in disguise because the new space fits our needs so well. 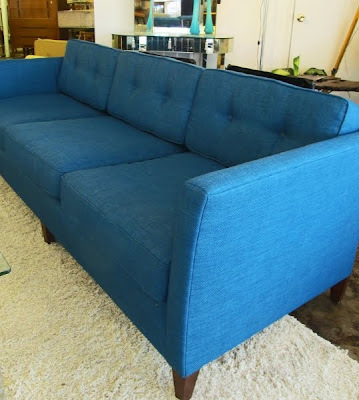 We’re in one large building — which is important for a furniture store [note: Uptown Modern’s old space was two building and an outdoor area] — it has the right look for our mid-century furniture and it's open and airy. We're slowly adding improvements to the outside (a new owl mural on the south wall and a fabulous planter box) as well as the inside. It's a work in progress with many improvements to come in the next year. You're still on Burnet, is there a reason you stayed on the same street? We were thrilled to find a building to rent so close to the old space. While we looked in absolutely every area of Austin for the perfect space, we were lucky to find it right down the street. It was the best combination of space, look and location. Since Burnet Rd. is booming with new construction projects and because it has a reputation for having a variety of furniture stores, it was a good fit for us. Where do you find most of your furniture? How often do you get new things in? I travel thousands of miles a year to buy estates (I rarely go to estate sales) in the Texas and the Midwest and shop at large antique shows and flea markets in states from California to Florida, from Minnesota to New York. For those trips, I usually drive a cargo van pulling a huge trailer and come home with a lot of items, which makes the trip more cost effective. In addition, I buy from individuals who have a piece to sell and middlemen, a.k.a. pickers, who sell to me on a regular basis. They know my buying tastes and habits and can usually predict what I will buy and for how much. 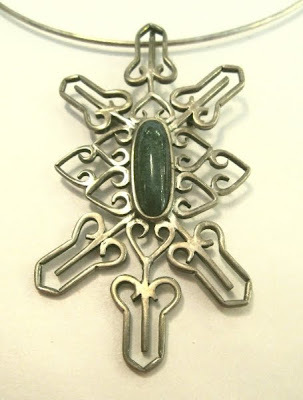 They often find items to sell to me at estate sales, consignment stores, thrift stores, garage sales, etc. In short, I do whatever it takes to find around 30-50 items a week to provide the essential merchandise for Uptown Modern. Care to give away any of your shopping secrets? Daily we field the question of, "where do you get all of your stuff?" 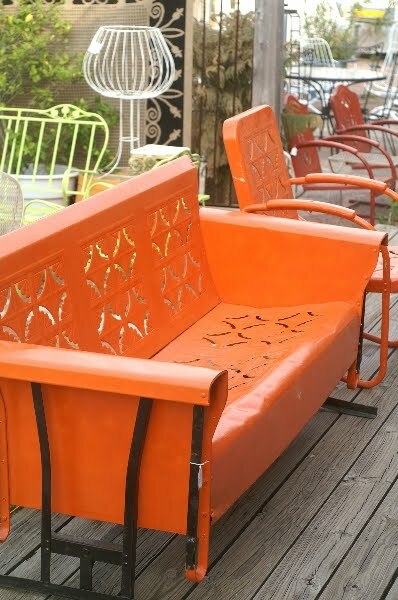 It is something absolutely everyone wants to know — I think they're hoping there is one specific, secret warehouse that antique dealers know about and go to for those one-of-a-kind rare finds and constant supply of vintage goods. The truth is that I have many shopping sources and don't do most of my shopping at any one of them. In order to find a good quantity of quality vintage items, antique dealers or shop owners have to have a variety of ways to get items to sell. Since everything is vintage and not available by ordering from a factory, merchandise has to be found one piece at a time at venues in many places. The truth is, finding good vintage items is time consuming and takes persistence and planning. The next time your spending a weekend exploring vintage stores in Austin, make sure you hit Uptown Modern.